A Christian school southeast of Edmonton says it fears the school division is moving to censor what parts of the Bible can be taught. Several Bible verses were to be included in a handbook for students at the Cornerstone Christian Academy in Kingman, Alta. Trustees from the Battle River School Division say they believe the verses might contravene Alberta's human rights code. Spokeswoman Diane Hutchinson said the school division has an obligation to follow the provincial school act and human rights legislation. The board plans to discuss the verses at a meeting on Thursday. 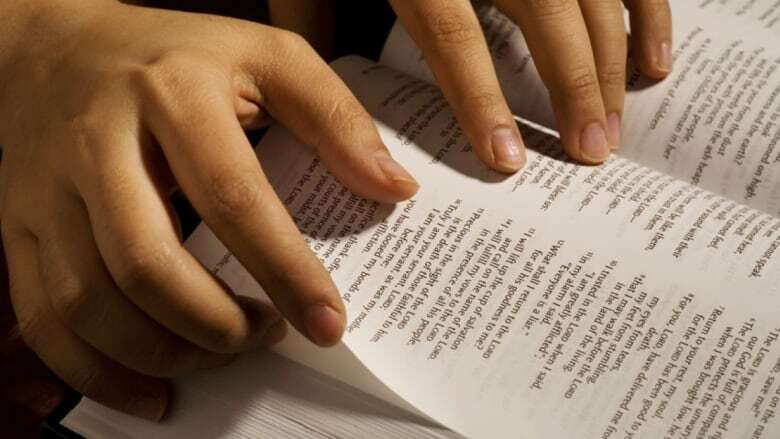 Deanna Margel, board chairwoman of the Cornerstone Christian Academy Society, told CHED radio the school fears the division wants to limit what Bible verses the school can teach generally. She said talks between the academy and the board have been going on for six weeks and the school already agreed to drop the verses from the handbook. Margel said the verses were part of a scriptural footnote in the school's updated statement of faith. One reference, from 1 Corinthians, suggests that neither "fornicators, nor idolaters, nor adulterers, nor effeminate ... shall inherit the kingdom of God." Another verse from Galations refers to adultery, fornication, uncleanness and lasciviousness. The Justice Centre for Constitutional Freedoms, an organization that gives as its mission the protection of free speech, is helping the school. President John Carpay said the school won't allow the division to dictate which parts of the Bible are acceptable. "When the board starts to try to dictate that scriptures that some people might find offensive cannot be taught in the classroom, that's going completely contrary to the goal of diversity, which is to have schools that are actually different from each other," Carpay said. Hutchinson said it's possible Thursday's discussion might be put on hold. The board might also suggest that the partnership between the Battle River School Division and Cornerstone Christian Academy be dissolved, she said. The Cornerstone Christian Academy, formerly a private school, joined the school division in 2009. According to its website, the school has about 160 students in kindergarten through Grade 12, who come from the communities of Camrose, Hay Lakes, Kingman, Round Hill, Ryley and Tofield and the surrounding areas.